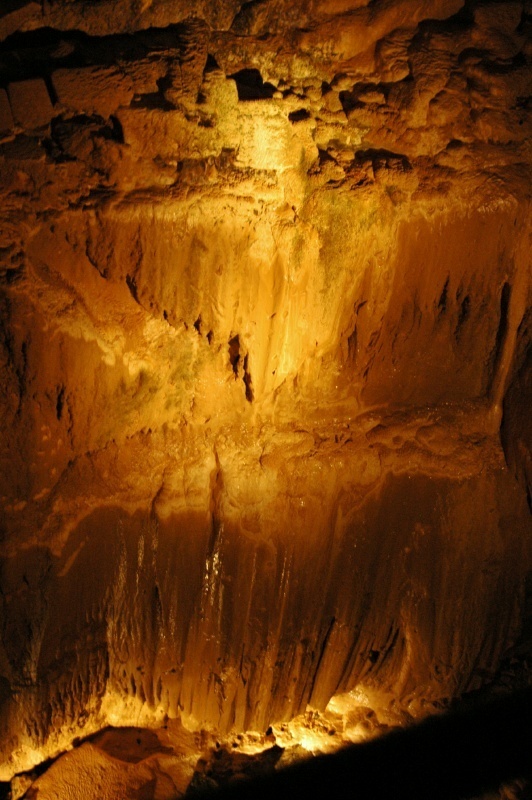 Inside Aillwee Cave. As is typical of limestone karst areas, the Burren has many caverns. This, though, is the region's only one that is developed for guided tours. The Aillwee Cave tour is a very interesting and well-presented half hour guided stroll half a kilometer into the mountain. The cavern is a relatively recent addition to Ireland’s satchel of tourist attractions. It was discovered by a farmer and his dog in the late 1940’s, but he kept it secret for about 30 years. In response to Diane’s question, “why?”, our tour guide said that nobody really knows, but he may have used it to stash guns and ammunition.